We appreciate each and every one of our clients. You have become like family to us. In celebration of the season, we would like to invite you to our Holiday Party. Let's celebrate this magical season- and YOU! 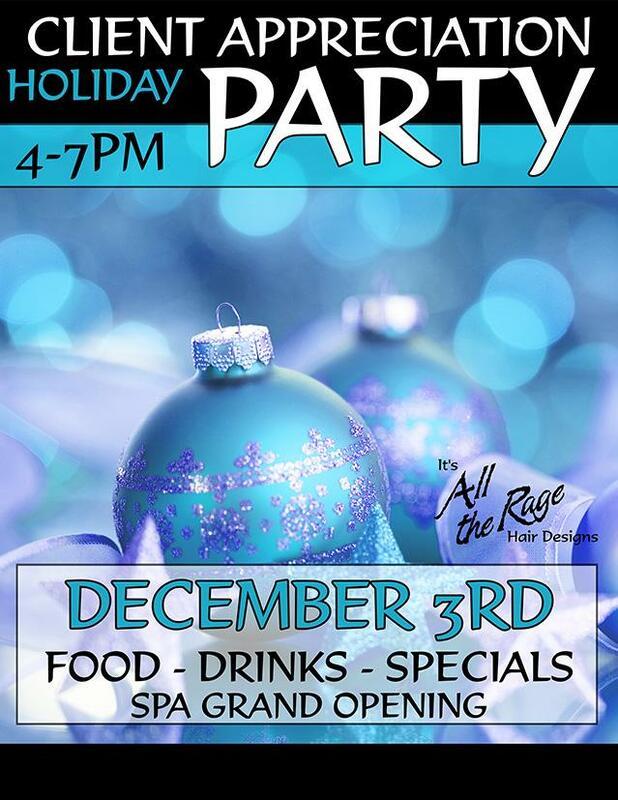 We will have Food & Drinks, Giveaways, Specials, and our Spa Grand Opening. Please join us Saturday, December 3rd during the hours of 4PM to 7PM. This event is free to attend. Please fill out the form below to attend. Client Appreciation Holiday Party R.S.V.P.